The "Death By Squats" Test: How Many Can You Do? The “Death By Squats” Test: How Many Can You Do? Last week I challenged you to a “Death by Pushups Test“. Many of you took the challenge. We had some people that killed it and found themselves a Push Up Czar! Others fell into the “sprout” category and renewed their desire to build their push up ability. Many calisthenic authorities can fly through the air doing handstands, front levers and muscle ups. Few focus on their leg development as much as their upper body development. This is one of my difficulty areas. My upper body strength is much better than my lower body. Today, I challenge you to the “Death by Squats” challenge. If you choose to accept it you’ll be doing a series of squats that will tear you up fast. I have structured it the same way I did the Death by Pushups challenge. The below steps outline the “Death By Squats” Test. As before, there are some ground rules. 1. If you have to stop to “catch your breath” even for a moment within an exercise set, you are done. I consider it cheating to “hold” a posture mid way through so you can gather enough strength to continue on. 2. You must do full range of motion. I have pictures for you to look at below. 3. NO REST, NO REST, NO REST! When you rest in between sets it is SOOOO much easier to crank out more. There can be no rest in between sets or in between reps. I need to emphasize this. When you can’t continue on with an exercise, stop to write down your number then carry on. NO REST BETWEEN SETS. The only rest you get is the amount of time it takes you to write down your number. And you need to have your pencil and paper right there with you. If you rest for more than a couple seconds between sets its considered cheating. This is one of my favorite exercises for the legs. Its called Pop Squats. Start with your feet together. 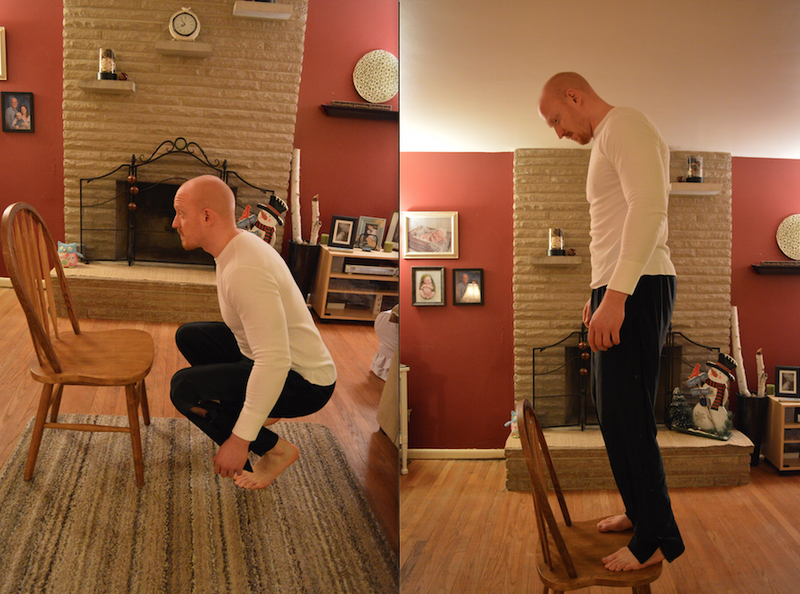 Squat down and jump up while hopping into a squat with your legs far a part. 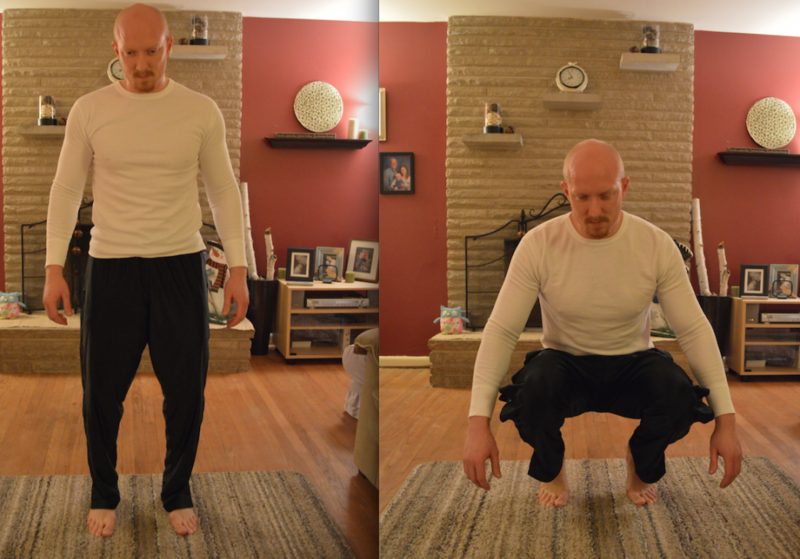 Squat down and hop up into the starting position. For my reps I considered this 2 reps.
Each time you hop out is 1 rep. Each time you hop back in is another rep. Here is a video if you need an example. The difference that I am having you do for this test is to do a squat when your feet are together in addition to doing a squat when your feet are out wide. If you are moving immediately from one exercise to the next you’ll be hurting after this exercise. 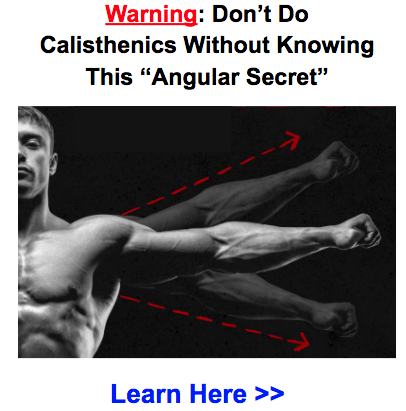 Its essentially a plyometric alternating lunge. Position yourself in a lunge position. Lunge down and hop up. While in the air alternate your legs so you land in a lunge position on the other side. Continue on in this manner. Here’s a video if you are confused. The way I counted my reps was that each side only counted as a half of a rep. So each time I did a right plyo lunge and left plyo lunge was one rep. Most everyone that follows SOA knows the Hindu Squat. Make sure you are going through a full range of motion with each rep. STILL NO REST IN BETWEEN SETS OR REPS! 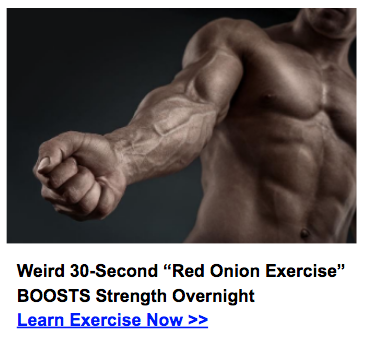 You may be unfamiliar with this exercise. It is a killer if used as a finisher. Get in a doggy position on the floor. Lift your knees off of the floor and begin to squat backward. Here is a video so you can see how its done. Full range of motion for each rep! You’ve made it to the final exercise! Rock on! I imagine you know what a wall sit is but if you don’t this is how you do it. Get next to a wall. Squat down until your knees are at a 90 degree angle. Hold that position as long as you can. 1. Make sure your thighs are parallel with the ground. Your knees will be at a 90 degree angle. 2. DO NOT put your hands/arms on your legs. This redirects some of your weight to your knees and removes some of the weight from your quads. Its considered cheating. Add up your total numbers just like last time. Go ahead and find your number then put it in the corresponding range below. If you missed the “Death by Pushups” Test, take that next! *Special Thanks to Zel who post a comment in the Death by Push Ups Test article requesting this test. This one’s for you bud! Todd, no offence but your form is poor in these, your feet should always be completly flat during squatting exercises, wheter they involve plyometrics or not, the NSCA backs this up. Your on your toes in the pics, improve your flexibility my friend, dont do the exercise for time or reps til you get your form right otherwise youll teach yourself faulty motor patterns. Treat these exercises as skills that should be mastered. Love the feedback. Flexibility is definitely something I need to improve. I initially learned the hindu squat and its variations from Matt Furey’s Combat Conditioning. This was many years ago. I think its more of a habit than anything yet I very much appreciate the thoughts. I do disagree on the “faulty motor patterns”. Form is important for developing skills but I do believe form can be broken to train muscles, ligaments and tendons in new ways. For example, in most personal training schools it is taught that when doing a squat your knees should not go over your toes. There is certainly benefit to this but what about Pistol Squats? Your knee has to go over your toes to maintain balance. The body was meant to move in SOOO many ways and I am a believer in exploring the wide assortment of patterns. Hey thanks Todd! This was an awesome challenge. I scored 188 this time. Weakest spot: crazy lunges. I know what I need to work on! Last week I downloaded your program. It is awesome. I took the death by push up test and was able to do 87….I have set my goal for one year to get ripped…I was unable to download video library , I would really appreciate if you could address this. Looking forward for your isometric strength program. Again thanx a lot, and have a great D&N. Does this improve vertical leap(informed response please, not just some guy saying “yea sure” just because it improves leg strength).I would really appreciate it.